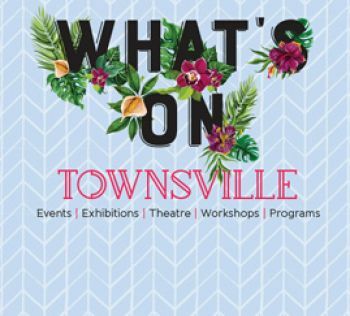 Discover a range of mobile apps for the Townsville region. Explore Townsville's history with Townsville Tours and Trails, a free, self-guided tour app. Hear the city's past come to life with guided audio and walk through immersive GPS stop points. Some of the grandest buildings in the city! see historical images of buildings from the past. the huge impact of fires to the shaping of the Flinders Streetscape. how Flinders Street's merchants made Townsville a thriving port and trade hub. A self-guided audio tour exploring the history of Townsville’s premier promenade. Download Townsville Tours and Trails from the App Store or Google Play. Use your library membership to access books, eBooks, audiobooks, magazines. Check out books and magazines through your local library, login using your library account, then download them onto your mobile device to read anytime, online or offline. The BorrowBox app makes it easy to browse, borrow and read or listen to your library's eBooks and eAudiobooks anywhere, everywhere. RB Digital (formerly Zinio) allows you to check out your favourite magazines, eAudiobooks, and comics free with your library card. The library catalogue is now available for you to search, discover and interact with CityLibraries Townsville wherever you are, right away. To report a problem online please visit our Report a Problem page or download to your mobile device iCouncil or Snap Send Solve below.